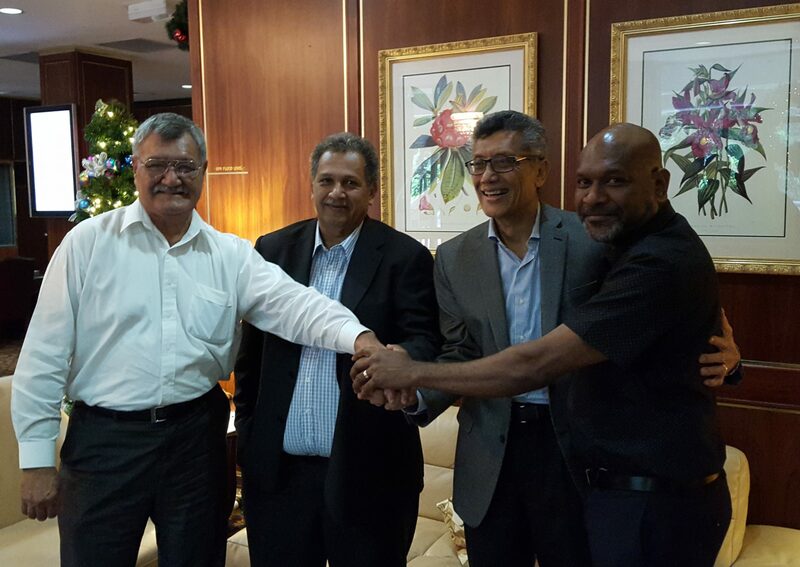 Three Melanesian airlines have signed code share agreements last week (Thursday 03rd Dec, 2015) with the focus to work together to develop and promote partnership in aviation services that can be of beneficial to the Melanesian countries. Chief Executive Officers of Air Niugini, Air Vanuatu and Solomon Airlines signed the agreements which now give Air Niugini the right as the operating carrier on the POM/Honiara, Honiara/Vanuatu, Vanuatu/Honiara and Honiara/POM routes whilst the other two airlines as the marketing carrier. The codeshare agreements are effective immediately. Under the agreement, Air Niugini’s Fokker 70 aircraft will be operating these routes with a certain number of seats on the aircraft being blocked off or purchased by Air Vanuatu and Solomon Airlines. Air Vanuatu is the marketing carrier on Vanuatu/POM and Vanuatu/Honiara routes whilst Solomon Airlines on the Honiara/Vanuatu and Honiara/POM routes. The three airlines entered into an initial Tri-partite Code share arrangement early this year where they have agreed to work in unison to assist and promote better understanding, partnership and generally promote the ideals of the Melanesian Spearhead Group in the airline industry.